The top two from last year’s Virgin Money London Marathon, Tigist Tufa and Mary Keitany, are set to return to the British capital on April 24 as they form part of a strong elite women’s field announced by organisers on Tuesday. Keitany is among five athletes in the field to have run sub-2:20 for 26.2 miles, while nine have gone quicker than 2:22. Competition will be fierce among the leading Britons with the race acting as the official GB trial for the Rio 2016 Olympics. The first two eligible athletes will be automatically nominated, so long as they have also achieved the qualifying standard of 2:31. Tufa’s victory in London last year was the biggest win of her career so far as the Ethiopian beat Kenya’s two-time champion Keitany by 18 seconds. Also in the elite field is Ethiopia’s world marathon champion Mare Dibaba, Kenya’s world half-marathon record-holder Florence Kiplagat and last year’s Berlin Marathon champion Gladys Cherono of Kenya, who will be making her London Marathon debut. “Winning in London was the greatest moment in my career so far,” said Tufa, who won the Shanghai and Ottawa marathons in 2014. The European challenge includes Portugal’s Jessica Augusto and Volha Mazuronak from Belarus. Among those battling for GB places for Rio will be Sonia Samuels and Alyson Dixon, who both already have the qualifying standard having run respective personal best times of 2:28:04 and 2:29:30 at the Berlin Marathon last September. Freya Ross, Louise Damen and Susan Partridge are also among the athletes announced for the event, while Charlotte Purdue is set to make her marathon debut and Jessica Coulson again steps up after taking on the distance at the Frankfurt Marathon last year. Coulson had been well on course to break the Rio standard in Germany after she passed halfway in 74:24 and was looking good at 30km but did not pass the 35km timing mat. 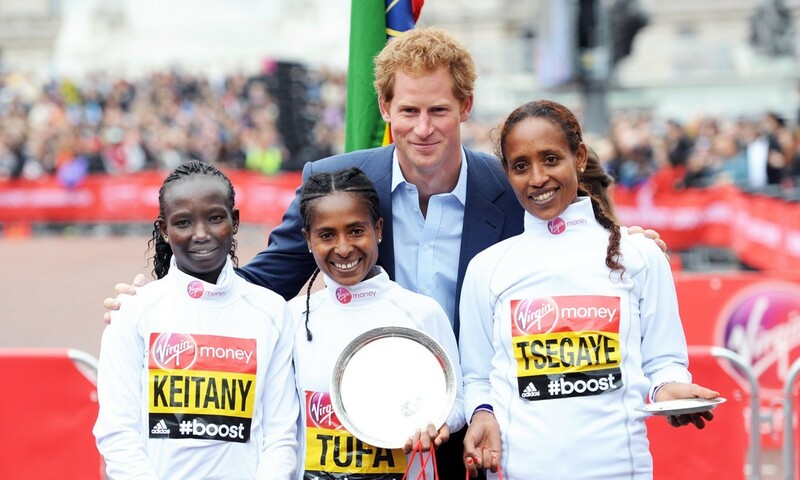 Hugh Brasher, Virgin Money London Marathon event director, said: “Tigist Tufa showed last year that predictions mean nothing in marathon racing when she beat all the favourites with a thrilling victory.